Gypsy Rose Lee, the Beauty at the Ball, by Weegee! Imaginative costumes, the almost total lack of same, live animals, equally live celebrities, and a general air of revelry marked the first annual Fantasmagoria Ball, held recently at the Village Gate in Greenwich Village. Sam Kramer, the premier surrealist jeweler, whose shop [29 West Eighth St.] is a landmark in the Village, hosted the Ball which was in preparation for an exciting five day Greenwich Village carnival coming later in September. The assembled guests, some 500 strong, drank, danced, and generally delighted to a star studded list of entertainers and celebrity guests from 9 P.M. ‘ti the sun crashed the party, at which point the crowd adjourned to the Cafe Figaro for breakfast. Included among the impressive list of celebrity guests were cartoonist Charles Addams, Gypsy Rose Lee, Burgess Meredith, Henry Morgan and Orson Bean. Jean Shepard, complete with his own live sheep, served as emcee. The Winner of the Miss Fantasmagorio crown was model Ivy Nicholson [Warhol factory person and Warhol film actror!] who received an Eric Hawkins modern dance scholarship. It’s the Gypsy Rose Lee centennial! Gypsy Rose Lee, the subject of what looks like an interesting new book, American Rose: A Nation Laid Bare, The Life and Times of Gypsy Rose Lee, by Karen Abbott, was born January 8, 1910. Audio and video (“The Amazing Regurgitator” is amazing) of and about Gypsy Rose Lee, born Louise Hovick, a.k.a. the Naked Genius, author of The G-String Murder, can be seen and heard here. This entry was posted in Fans in a Flashbulb and tagged Gypsy Rose Lee, New York Item, Weegee. Bookmark the permalink. 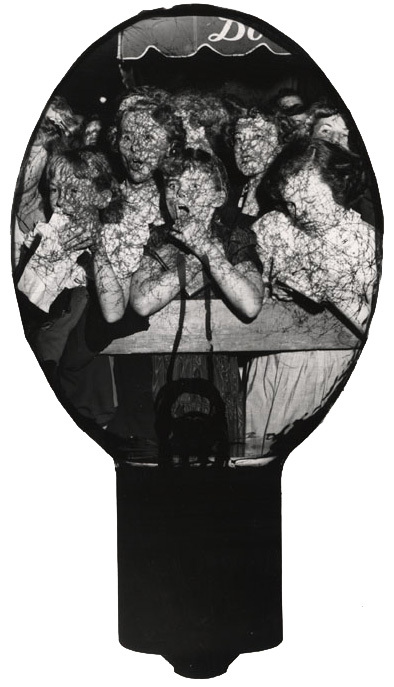 1 Response to Gypsy Rose Lee, the Beauty at the Ball, by Weegee!